This u-bolt kit replaces stock u-bolts to securely attach the vehicle's leaf springs to the suspension system and allow room for the installation of a lift block, add-a-leaf springs, or the replacement of factory u-bolts. Made of Grade 8 Steel. Inlcudes 4 U-Bolts, 8 Nuts, and 8 Washers. The customer is solely responsible for determining the correct measurements that are needed for their vehicle. 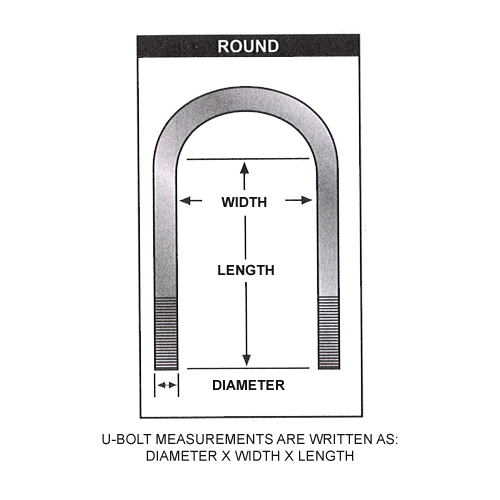 See measurement charts for the correct way to measure u-bolts.